Long before phones became a permanent part of our daily wardrobes, they were an important part of home decor. 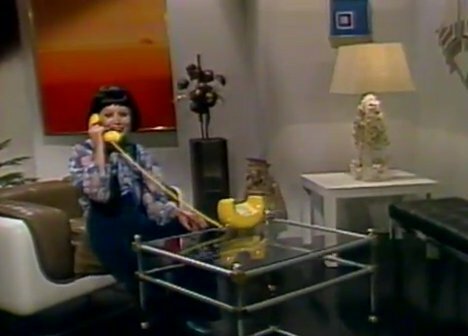 Many homes had basic models that were nothing special, but some people really went all out in choosing the perfect telephone to complement their personalities and their home decorating schemes. In this short promo film from 1977, the phones available from AT&T are highlighted in all their campy 1970s glory. The best part of the video is its inherent retro-ness. From the silly elevator music to the far-out clothing to the really, really 70s houses, you have to love just how terribly everything in this promo has aged. The stars of the film are the phones, of course, and they look like gigantic dinosaurs compared to the wireless multi-functional things we carry around today. See more in Aged Adverts or under Vintage & Retro. April, 2012.